I wonder if it would help if tuner companies moved their production out of the country. That's the way a certain company in NZ does business (or used to, I haven't kept up with them for several years now). They sell "un-activated" hardware into the US that meets the standards and depend on the selling dealer to download and "activate" the hardware. It is actually quite smart and places the hit directly on the selling dealers, since they are the ones "creating" the emissions defeat software loaded device. If the EPA decides to go after the "manufacturer", that would be the "dealer" since they are "assembling" the final device here in the US. My 2000 Silverado has finally pissed me off to a point beyond redemption. Last year it blew a power steering hose, which was the final straw. I think I've only used the truck twice in the last 10 years as a truck, that didn't result in the truck breaking in a manner requiring a tow truck. I've put enough money into it to buy a new top of the line truck and it's in worse condition than it was when I bought it. No more, I've had it. The truck is gone. I've replaced it with a 2003 Dodge Dakota ext cab 2WD. It may be a Dodge, but it's already cost me less and been more reliable over the last 6 months than the Silverado. May the Silverado like its next owner more than it's liked me. Sometimes, a vehicle just isn't going to like you no matter what. Before anyone asks, my mother's truck needed renovating so all the good parts from my truck have been transplanted to her truck and all her worn out parts were transplanted to my former truck before selling. I didn't actually give up anything on the old truck, and I don't mind giving my mom thousands in new(ish) parts with almost no miles on them. Pics of the new truck? Nope. I bought it, then gave it to my mother to drive almost as soon as I bought it. Looks like this though. I'll be getting it back after I finish with her truck. Nice! Good solid looking truck. I was very happy with my Ram when I got it. Gave me a lot fewer problems than my Suburban, and honestly was more fun to drive because it was a manual. Yeah, I liked driving it the day or two I had it, but it's an auto. Unfortunately I injured my left leg about 15 years back requiring surgery 10 years back, and now I've done something to my right shoulder. My work car is a stick, and it's getting to be too painful to drive so I'm afraid it's going to be autos for me from now on. This one will be what my S10 was supposed to be, a forever driver. Only this time, I won't be trying to drive and build, and when it's finished it'll be insured for value, not for make/model. I'm not dead, just busy with work. Still working on my mother's truck and my gentleman's farm in my spare time. Sometimes I go days without getting on my laptop, and my new workplace is not as friendly about non-work cruising. 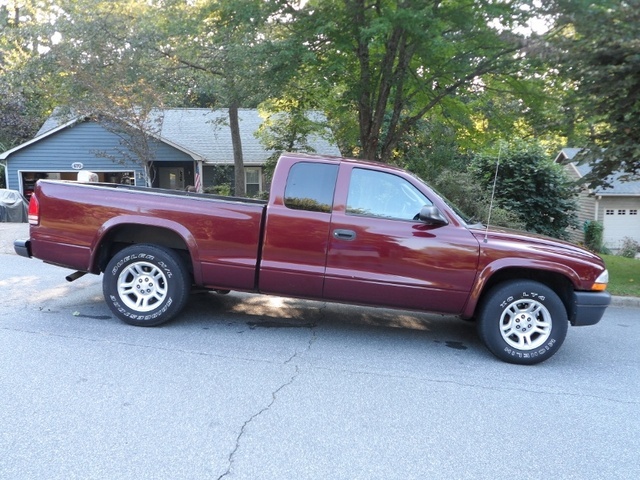 I haven't made a final decision on my Dakota but the front-runner on this is a 5th gen LT1 with an 8 speed auto. I also plan on performing a little... experimentation... on this project. I'll only detail THOSE when the experiments are complete. I also plan on performing a little... experimentation... on this project. I'll only detail THOSE when the experiments are complete. This sounds like it will be fun to watch!